Those who argue that “He don’t be in that neighborhood” isn’t incorrect are essentially pointing us toward a cultural Babel where anyone can make up and adopt whatever dialect they choose, and insist that everyone else acceptand decypher it. That’s no way to run a business, a nation, or society. Clarity in language is essential, and must not be shrugged off as one more matter of personal choice. We have to communicate, after all. This is not a racial issue, and to represent it as such is itself racist, applying the bigotry of low expectations to blacks when the principle that we should all strive to speak clearly must be universal. The last time I wrote about this issue was last August, but the subject wasn’t a poor black Philadelphian, but the President of the United States. This represents a cruel and unethical surrender of common sense and accumulated cultural experience. I find it amusing that the titles of the seminars are a far cry from colloquial dialects. How do we translate “writing assessment ecologies” into something that a person who cannot write correctly will understand? What is the ebonic equivalent of ” rubrics”. Obviously, the lecturer is a racist by describing the seminar in an unfamiliar dialect. I have to stop there. I can’t wrap my head around this idea. Are degrees going to mean anything at all anymore? Are lawyers going to have to start rewriting laws into this kind of language? Just one word to really and truly describe this: asinine. Funny you used one of my least favorite idioms; “I can’t wrap my head around”. I grew up understanding the idiom to be I cannot wrap my arms around X.
Wrapping ones arms around something suggests an embrace, such as embracing an idea. I don’t know when or why we began saying ” wrap my head around x”; unless it relates to an auto accident and X is a tree or telephone pole. There is a however a huge difference between new idioms and incorrect grammar. Good one, Chris. Most of these bad expressions come from corporate America. My wife brought home scads of them during her time in big business management and DP shops. Ugh. The latest one is “Yeah.” Followed immediately by “No.” What does that even mean? But it’s ubiquitous. I did some research and it is a variant of a British idiom I cant get my head around something. One particular explanation which I found online was that wrapping was related to enveloping an idea like a stomach wraps around a plate a spaghetti. Have you ever thought of a stomach as a wrap? Hah. Cars wrapping themselves around trees comes to mind, but the cars involved don’t usually recover from the experience. The “yeah” is an acknowledgement of the other party’s opinion or statement, the “no” is to express disagreement. It’s used much more randomly than that, Luke. It’s almost as bad as “Thank you SO much.” Ugh. These policies, which are part of identity politics, are intentionally designed to keep groups from achieving economic success and therefor dependent on their patrons, the Democratic party. The Republican Party is often derisively described as “the party of the rich”. The Democratic Party prides itself on being “the party of the poor”. To stay in power, the Democrats need more people to be and stay poor. I was going to post something similar. It is ingrained in the left to separate minorities from the majority. With this separation comes condescension. A recent study found that leftists ‘talk down’ to minorities, while more conservative people do not. Treating people equally is ‘racism’. Assuming that people with darker skin can’t do the things light-skinned people can do is ‘progressive’. – Don’t the same sort of objections apply to the corrupt Latin now spoken in the Baleares, Iberia, Gallia Transalpina, Gallia Cisalpina, Italia, Sicilia, Sardinia, Corsica, Elba, Capria et cetera, Magna Graecia and Dacia? If not, why not, and how do the cases differ materially? – Isn’t it a bit late to make such arguments on behalf of U.S. English, in an estoppel sort of way, in that the principle was conceded no later than the point at which a prescriptive approach to U.S. English dictionaries was adopted? That is, U.S. English is already all about what someone decides it ought to be rather than about established usage. 1) They differ materially insofar as Rome was an invading and occupying power and therefore an elite military-administrative assault on native populations with their own languages. It was an elite military-aristocrat affair. The corruption of Latin in these regions and by these speakers occurred because of lack of will, or of need, as well as lack of resources (?) to establish a proper Latin universally. Therefore, the corruption of proper Latin resulted from a sort of haphazard social-military conquest process. The upper echelons would of course learn ‘proper Latin’, but even there, no doubt, they corrupted the language or, when they spoke their regional dialect, chose to bring in Latin words. In Latin America now, among Spanish-speakers, many English words are used: ‘download’, ‘gol’, ‘chat’, ‘dvd’, ‘sándwich’, ‘jipi’ (hippy’), ‘Breikdans’ (breakdance), and ‘japiberdey’ (happy birthday). But similarly, into English come ‘lariat’ (la reata), ‘stampede’ (estampida), ‘tornado’ (tronada), ‘cockroach’ (cucaracha). 2) Black English or ‘Ebonics’ comes about as a result of bringing a captured people into a closed linguistic group. Their own language and any vestige of their own terms-of-culture were made illegal and could result in punishment. Every aspect of their religious practices, their language, their traditions, was prohibited. Especially the religious practices (which are part of social lore and mythology) ‘went underground’. Take Cuba for example. The Africans needed to preserve their pantheon of gods for reasons of personal and individual survival. But it was literally illegal and highly punishable to practice their rituals. So they adapted the Catholic saints to their mythic purposes. The river goddess Oshún became Our Lady of Charity because of certain symbolic correspondences. Elegua, a deity of ‘the roads’ and of doorways, passages and communication, as well as the ‘marketplace’, became syncretized with St Michael or The Holy Child of Antocha. The corresponding drum rhythms that are *sacred* to each god or goddess, “lived on, flew on, in the reflected sky” (to pretentiously quote Nabokov in Pale Fire), and became the basis of modern Cuban musical forms, and these had an invisible and profound influence on American musical forms. Rock’n’roll is a total invasion of European-American ‘space’, both physical and spiritual, by an emoted musical force expressed musically which is African-vudú in origin, whose nature is rebellious and resisting in purpose and effect. Legend has it that while living on a Mississippi plantation, the young and impoverished Robert found his one true longing: to be a master of the Blues. Unfortunately he was then a mediocre musician at best and played his guitar and sang his songs for anyone who would listen, failing to make much of an impression or a name for himself. A shadowy figure, hearing his plight instructed him to go, guitar in hand to the Dockery Plantation Crossroads at midnight on a moonless night. Following these instructions Johnson was met at the crossroads by the Devil in the form of a large black man, who tuned his guitar and played his own haunting music. When he returned the guitar to Robert, he found he had full mastery of the instrument – the Devil having staked a claim to his soul in exchange for this gift, a bargain that would be collected upon at a later time. It probably has not been obvious that a good part of my critique of Hyper-Liberal American forms focuses on ‘corruption’ and also ‘seduction’, and that the root of these are essentially anti-Christian and anti-metaphysical. Destructive impulses enter the psychology of people, young people mostly, in a sort of Dionysian frenzy, and they quickly develop into invisible currents of influence that penetrate first the body and then the mind. What this means is that the ‘rebellion’ which is now undermining European culture has both a visible and an invisible dimension (psychic). The rebellion has to do with *the body* asserting itself in relation to *the soul* and in that sense ‘the logos’. Strangely, Marxist rebellion (and perhaps Nietzschean rebellion) uses these as *tools* for further undermining. But it begins at a sub-linguistic level. It leads to social hysterias which have an invisible center in people’s psychology. It is demonic in the true metaphysical sense of the term. Isn’t it a bit late to make such arguments on behalf of U.S. English, in an estoppel sort of way, in that the principle was conceded no later than the point at which a prescriptive approach to U.S. English dictionaries was adopted? That is, U.S. English is already all about what someone decides it ought to be rather than about established usage. The larger point is to gain a height from which one can view *what is going on in our present and why* and begin to oppose the destructive aspect by ‘renewal’ and ‘renovation’ of the better and higher metaphysics. If you cannot recognize the ‘higher metaphysics’, you will have no ability to recognize the assault upon it. The whole purpose of destroying the conceptual pathway to higher metaphysics is to imprison people (the soul really) within mutable contingencies. If they cannot conceive of their imprisonment, they will only be able to participate in it. In the meantime, why not just Live Your Ebonics! It is undeniably fun, though the end result is, literally, the destruction of the intellect (as intellectus). Well, how did I do? 🙂 (Talk of ‘dancing on the heads of pins’). When I came upon this scene in a 60s movie I have to admit my jaw dropped. In the meantime, why not just Live Your Ebonics! I say: not really. Firstly, the ethics of a foreign power forcing its culture (including language) onto other distinct peoples is veeeeery different from a completely integrated population participating in a mutual society. Black Americans are 100% Americans and have a responsibility to develop the tools (including commonly understood language patterns) that allow them to participate effectively in the larger American society. Any bar lower than that not only reduces the competitive ability of the Black American but it’s also the racism of lowered expectations; “How dare we expect them to speak in a way that the super majority of their society would easily understand – don’t you know that they can’t!”. They absolutely understand the language and conventions and many willingly deviate from it to the point of being unintelligible. Secondly, and more importantly, there’s a practical difference between regional dialects commonly understood by everyone in the larger region (for example Scottish) and subgroup or enclave dialects that aren’t. A court in Scotland wouldn’t make the kind of transcription error that our erstwhile court reporter did, even if the language was borderline gibberish to posh Londoners (and me). There’s no functioning loss of clarity within that court. When a court reporter and Hood Henry in the same city can’t understand each other that is a problem. The court reporter can’t make her self understand gibberish but Henry absolutely has the ability to speak clearly for five minutes. I believe in you, Henry, you can do it. WHY aren’t you back? First comment here since last March, and I am grateful for it. The most common form of slave resistance was what is known as “day-to-day” resistance, or small acts of rebellion. This form of resistance included sabotage, such as breaking tools or setting fire to buildings. Striking out at a slave owner’s property was a way to strike at the man himself, albeit indirectly. Other methods of day-to-day resistance were feigning illness, playing dumb, or slowing down work. Both men and women faked being ill to gain relief from their harsh working conditions. Women may have been able to feign illness more easily—they were expected to provide their owners with children, and at least some owners would have wanted to protect the childbearing capacity of their female slaves. Slaves could also play on their masters’ and mistresses’ prejudices by seeming to not understand instructions. When possible, slaves could also decrease their pace of work. Women more often worked in the household and could sometimes use their position to undermine their masters. Historian Deborah Gray White tells of the case of a slave woman who was executed in 1755 in Charleston, S.C., for poisoning her master. White also argues that women may have resisted against a special burden under slavery—having to provide slaveholders with more slaves by bearing children. She speculates that women may have used birth control or abortion to keep their children out of slavery. While this cannot be known for certain, White points out that many slave owners were convinced that female slaves had ways of preventing pregnancy. Throughout the history of American slavery, Africans and African Americans resisted whenever possible. The odds against slaves succeeding in a rebellion or in escaping permanently were so overwhelming that most slaves resisted the only way they could—through individual actions. But slaves also resisted the system of slavery through the formation of a distinctive culture and through their religious beliefs, which kept hope alive in the face of such severe persecution. * The Greeks considered the Romans inferior for not speaking proper Greek. * The Romans considered the Gauls, etc, inferior for not speaking proper Latin. * Countless thousands of manuscripts were lost to time because those speaking improper Latin and Greek could no longer understand them. The entire renaissance was started by uncovering lost wisdom from classic texts. – That is, U.S. English is already all about what someone decides it ought to be rather than about established usage. And that is why we can no longer innately read middle English. Would it benefit anybody contemporary standard English is unintelligible to a significant and potentially disadvantaged portion of the population. Of course this leads to Babel all over again, but worse. Babel was about forced differentiation of discrete well formed language groups. This is about having and submitting to no standard at all, just flux(see Fluxx the game for some fun). 1. Organization, standardization, productivity etc. aside… what is really unacceptable about some other strain of a language emerging? 2. While the successful folks have a standard, and maybe the less successful folks have less of one or none, and while the successful pay no regard to the unsuccessful so that there develops in a nation parallel societies, at what point do the successful come to grips with losing their grip on determining a standard? The timing of this is kind of interesting. Last the weekend I had a conversation with a former writing college professor of mine about the use of a particular word that I have routinely used that is not actually defined in any dictionary. A friend told me that I really should be using antilogy not antiology; so me being the person I am, I went in search of more opinions from good sources. Last year I submitted a phrase to Urban Dictionary because I couldn’t find it defined to my satisfaction anywhere else and I see it as a real thing these days, that phrase is political antiology, which is antiology defined in a political sense. If I had to define just antiology it would be “not FOR anything only AGAINST everything. I just now submitted the single word antiology and defined it as Not FOR anything, only AGAINST everything; the word has been approved and should appear in the Urban Dictionary in the next couple of days. After a discussion with my former college writing professor via email about the similarities and differences between antilogy (which is specifically defined) vs antiology (which is not specifically defined) I presented her with my argument which included the definitions of “ology” (any science or branch of knowledge) and “-o-“ (the typical ending of the first element of compounds of Greek origin [as -i- is, in compounds of Latin origin], used regularly in forming new compounds with elements of Greek origin and often used in English as a connective irrespective of etymology). In the end she said that just because antilogy might suffice to get the an idea across for most people reading it, it really doesn’t completely apply in the way I’ve used antiology because antilogy directly implies a contradiction in ideas and what I am talking about is not simply a contradiction it’s just against without the any intelligent contradiction. So using antiology wasn’t necessarily wrong in today’s world where it seems that new words are popping up all around us but I needed to include how I was defining the word. She also suggested that I could simply using anti by it’s self and that might do roughly the same thing but it doesn’t make antiology wrong. She liked this antilogy vs antiology discussion and will be discussing this with a student that’s doing a dissertation on changing linguistics and etymology of the English language. As some of you know, I used to tutor in an a neighborhood that most would consider inner-city. Sometimes the language barrier between a more formal spoken English language and the extremely informal English language that was spoken in that community was staggeringly different, this is a real problem with communication. It’s as if the people in these neighborhoods have been completely isolating themselves from the formal English language and real English teachers for generations. There were times where no matter how hard we tried, and we did try, we never did understand what each other was trying to say and one of the huge differences was severe lack of usable vocabulary in that neighborhood. In my opinion it’s outright ignorance and the public school system is allowing this ignorance to pass from one grade to another and therefore enabling this ignorance to infect the culture of language. Apathy to the problem enables the problem and perpetuates the deliberate dumbing down of America. …that most would consider inner-city. Those that wouldn’t, what would they call it? Middle Earth? There is absolutely no reason to take this down that deflection path; I’m not going there and I hope no one else does either. Z, an -ology is ‘a study of’, like psychology is a study of the mind. “Antiology” would, literally be “Against (anti-) study (-ology). Or would it be a study of [the term] “anti-“…? 1) a distinctive doctrine, theory, system, or practice of being anti, or being opposed, against; an -ism. 2) the study of being opposed to; against. 3) against the study of; against gaining knowledge. To be an antista is to engage in antism, to be antistical. I think it has its use. An unrelated term is the verb ‘to zoltize’. A contraction of the longer verb form *to zolterize* (obsolete form). Now, a very severe condition suffered only by very few is ‘alizaboticization’. It only happens to 1 in a million but it tends to turn a simple phrase into 1,111 word posts! Those are pretty good but how about the ever popular Zoltar Zinger! created by a friend of mine. Oops bad blockquote ending after quoting Alizia, forgot the /. Engage brain and proof read Zoltar. Z; this person you reference by any chance held in less-than-flattering regard in rabid Lefty antiological circles? Why yes, so much so that the behavior from those particular rabid Lefty antiological circles warranted the creation of a uniquly specific SPAS-CG Syndrome to properly describe their behavior. P.S. 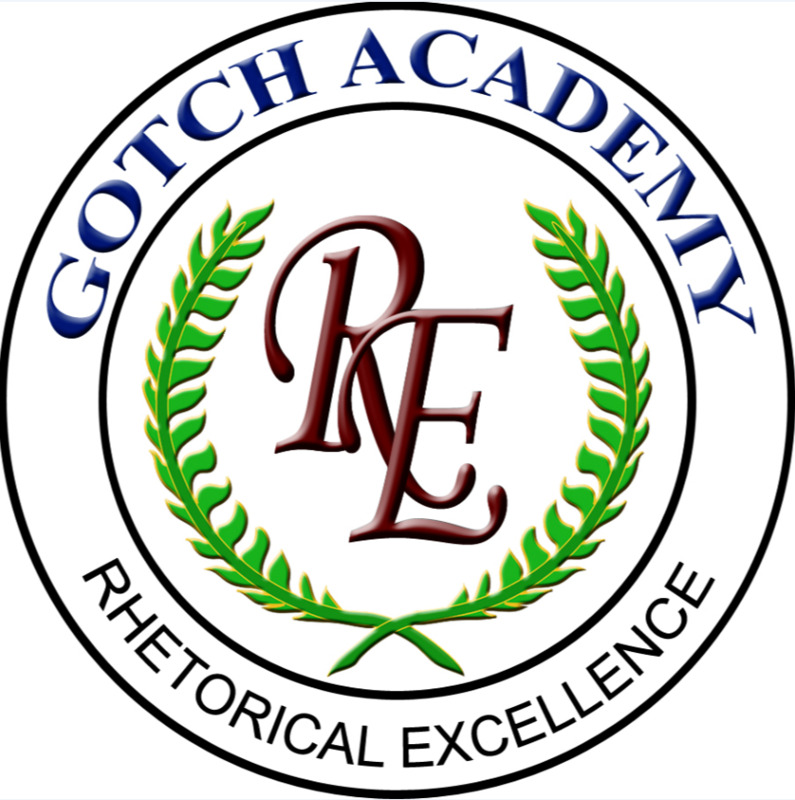 The Gotch Academy was established as a direct result of that particular rabid Lefty antiological circle. My condolences for your affliction. There is always hope for a cure! Speaking of words losing their meaning, the most significant problem is “minority” has been re-defined as “majority.” The country is heading toward a “the minority rules” paradigm which is incredibly dictatorial and divisive. The majority now has to take into account the desires of countless minorities simultaneously and constantly. Reminds me of Gulliver being set upon by the Lilliputians. Zees is un ouffshuot ouff zee-a furced icceptuonce-a ouff Spuonish. Ve-a ire-a tuld heespuonics ire-a zee-a ounly gruoup ouff immeegruonts in US heestury zeet ire-a incepeble-a ouff leerning Ingleesh, und ill ouff us (incluodeeng Cheenese-a immeegruonts) need tu leern Spuonish. Vell, vhet is zee-a deefference-a iff yuou dun’t vuont tu leern ‘pruper’ Ingleesh? Bork Bork Bork! Reading the changes in the trial transcripts, I wonder if they result from some sort of auto-correct as opposed to the reporter actually changing things to make them grammatically correct. We have all been victims of the dreaded “Auto-Correct” or “Auto-Suggest” features on computers and cell phones. Would Hanlon’s Razor (not Gillette’s, though) account for this: “Never attribute to malice that which is adequately explained by stupidity” or auto-correct? My understanding is that the official term for Ebonics is “BVE,” Black Vernacular English. Wikipedia has details. It exists and it’s not going away, which is fine. People will speak what they like to speak, especially in informal settings. To promote social mobility and justice, the best we can hope for is that speakers of BVE can be brought to a full understanding that they do themselves a dis-service (sp?) by speaking BVE in settings where speaking Standard English would be better understood *and* in their best interests. I’m not trained as a linguist but it sounds like verbs work differently in BVE. You know that you are a highly proficient native speaker when you have full command of all the verb tenses, moods, aspects, etc. without even knowing how or why you know these things–everything just comes out automatically. For example, I say “I used to live in Buffalo” and you know that living in Buffalo for me happened in the past tense, it’s not specified when, but it went on for some time and it’s over. You just know these things based on native proficiency in verb tenses and their meanings. It sounds like that was the problem in the example provided–the transcriber had no idea what the original statement was and guessed horribly wrong when putting it down for the record. While I am not often given to defending poor speech or writing, I must say there is a real difference between speech and writing. Speech, like many public or social behaviors is cultural. And for once, let’s face it American white folks, we have historically put U.S. black people in this difficult position. The result is ebonics and many other social variants. 1. For a long time we did not treat them as equals in any sense, making them into a perceived lesser subculture. 2. For a long time we white folks barred them from being taught to read and write properly, forcing upon them a self taught, informal, sub-method of communication. 3. Let’s be honest, we white folks used it as a way to see them as less refined human beings. It felt right and substantiated to feel superior. 4. In economics there is a simple example of two identical resumes and the resultant interviews for Emily and Lakisha. Emily gets significantly more interviews. How did Lakisha get that name? From black people seeking out African names as they had been culturally shunned from our white dominated and intentionally culturally segregated society. 5. Why do black folks walk in the street more than white folks? Because they have been culturally taught to walk there, out of the white folks way. 6. If you think these culturally created differences don’t manifest themselves in dozens of other ways you are delusional. Does that mean, in the present day, we shouldn’t try to all communicate properly, particularly in writing or transcription, no. It does, however, mandate we consider the history and sources of these problems before we get all uppity about it. I grew up in the ‘hood and know plenty of highly intelligent and successful black folks who don’t speak the king’s English. It requires patience on my part by understanding its roots. Someday these distinctions will fade away, but it won’t be soon. It will take a lot longer if our attitude is that such speech is as good as any other form of expression. >> Someday these distinctions will fade away, but it won’t be soon. Well, actually I’m not sure these distinctions will fade away–it’s an empirical question. I’m guessing–without real good evidence either way–that the different dialects and registers of the English language in the USA are drifting sideways, without the “problem” or “issue” of differences going away. Probably American BVE has been existing parallel to Standard English for hundreds of years, and I’m not convinced it is approaching Standard English asymptotically. The Wikipedia article s.v. “African-American Vernacular English” is worth browsing–it even turns up references to court testimony in which this general issue comes up. My contacts with the ‘hood are pretty limited. Based on a year’s residence in Nigeria my understanding is that “West African Pidgin English” is probably still growing there. Nigeria has maybe 190 million people and nominally 500+ languages. Perhaps only two languages there are spreading quickly–Hausa in the North and various forms of English, especially in the South. In Nigeria pidgin grew partly as a true pidgin for market traders, police, and soldiers, and in some places by now it may be a true creole. It gets more complicated. In Ghana there is a “student’s pidgin” invented by smart kids in good high schools who also wanted to speak pidgin, so while not studying Shakespeare or Wordsworth the cool kids worked hard to learn how to speak pidgin, too. The coolness factor outweighed the déclassé factor. Apparently in Cote D’Ivoire (Ivory Coast) there is a *francais populaire* spoken by the people who haven’t much seen the insides of a classroom, even while the elites in Francophone Africa often speak good French. This is related to me by a well educated Togolese friend who came to the USA in the Green Card Lottery, a man who prides himself on his excellent French. The point of these examples is that the issue is not going away. We can’t expect that the issue can be made to go away, so we need other strategies. Probably twofold. (1) teach formal standard languages as well as possible. (2) careful collection of documentary evidence to establish what witnesses actually say, rather than what the court recorder (plus autocorrect?) thinks they said. Thanks for listening. A final observation: This cannot be a new issue. It must be as old as jurisprudence and public administration. The importance in education good grammatical instruction because it is a major factor in pre-judgement of intellect and education leads me to another related thought. Among the higher class, better educated folks, there are expectations regarding what demonstrates both refinement and intellect: an extensive vocabulary and the ability to understand and use it, the ability to carefully select the most accurate way of expressing an idea, and brief, clear accurate and concise communication. Our college admissions tests measure this ability and the only way to get a high score is to check off all of those boxes. We then turn around and base much of our own initial judgements around that criteria. This doesn’t sit well when combined with the fact that English is the worldwide lingua franca. In the last few years, I’ve been heavily immersed into the world of english as a second language people. These are all highly educated people, mostly engineers and MBAs with a few lawyers thrown in. What I’ve noticed is that the communication between native English speakers and the English as a second language people is vastly poorer than among ESL to ESL people when they communicate. Once I’ve started noticing this and reading about the topic, I’m hardly the first to note this. Part of the issue is bad habits of the native speakers, the slang and idioms that aren’t known to other cultures. A major factor though is that among the highly educated, complex and concise isn’t nearly as effective in communicating to those who’ve learned English. It’s not that our words are too fast, but that our content is too fast and the selection of words is too broad. This clearly dawned on me when I was in a meeting with a colleague from NW India who spoke English like a machine gun going off and the others in the room from all of the world told me that he was more understandable than I was. I once thought it was a great advantage to have the fact that my native tongue was the worldwide lingua franca was a huge benefit. I’m not so sure of that feeling now. I have no doubt that if it wasn’t, I would have had to learn whatever that language is and I wonder if it would have resulted in less difficulty in communicating to non native English speakers. We’ve totally embraced globalization, and it’s a forgone conclusion that many in the business world will have to deal with this. I’m having to learn to speak like a 5th grader, and it’s not easy when discussing complicated technical topics. Somebody wrote a book on this general topic. At the moment I cannot dredge up the title or author, but the author mentions the un-merited advantage that native English speakers have in international business settings when working with multinational teams. The author claims the basic issue is non-trivial. The linguist David Crystal has worked to get UK language instruction to be more pragmatic or problem-solving oriented in this regard. Crystal has written maybe a hundred books. A productive scholar. There are complicating factors. I did “language partner” conversation with a Mexican physician doing a post residential fellowship in the USA. He knew the Latin/Romance cognates and technical vocabulary pretty well and was highly articulate in English, but told me he had trouble sometimes taking medical histories from Americans. He didn’t have complete proficiency with some of the old Anglo-Saxon Germanic lexical items. When speaking he could work around it by using the Romance based words. But when listening, he had trouble occasionally. An educated Russian once told me the thing he was still most frustrated with were “phrasal verbs.” This makes sense. The London _Economist_ uses phrasal verbs in their editorials that are beyond me as an American. English is a Germanic based language with a lot of Romance loans. A parallel example is Farsi, which is a Indo-European based language with a lot of Arabic loans. In the spoken English, the Germanic words tend to be predominant, as you can also see in “word frequency” analysis. Many non-native speakers cannot say “the” or “thee” perfectly. Thanks Charles – if you remember the title of the book I’m definitely interested. English is a Germanic based language with a lot of Romance loans. Yes, and I think a lot of people forget that because the majority of the words in the language are Romance loans. They forget the structure and the most used words are Germanic. In particular with the French, I notice a lot of “false friends” (the same or similar spelling and / or pronunciation that mean different things). I notice the Dutch and the Scandinavians are quite adept at learning English well, as their language is similar to the roots of English. Your comment … but the author mentions the un-merited advantage that native English speakers have in international business settings when working with multinational teams. That leads me to yet another tangent – global finance is conducted in dollars and happens in London. Both bother the heck out of many in France and Germany. Those arguing against a no deal Brexit seem to think that they have the upper hand because a no deal Brexit would take that away from London and deeply harm the UK economy. I think their argument is bunk because they ignore why London is the center of world commerce. One is exactly as you note – Australia, Canada, the US and the UK all have the advantage of English as the primary (or mostly primary re:Canada). An additional advantage to the three other than the US is their commonwealth status. The last is geography – the UK and central European time have an advantage that the other side of the globe is nearly all Ocean. Almost all of the the entire world’s population has a working time that coincides with part of the work day in London. Sounds like when I attended college at Texas A&M: I spoke college level english at school, and dropped back to the ‘native texan’ of my youth upon returning home at night. The former was understandable by colleagues from other states and nations; the latter (mostly from idiom, slang, and inflection) was understandable to my native community, which was only a few miles from the college. I would have been derided for using the college level english in my community, and would not have been understood if I used native texan at college. Yet I did these things without thinking about them. Why is that? Why is it hard for others to do so as well? Since this thread is still accepting comments, here are some thoughts. 1. Some people have good language skills and, in addition, “meta-linguistic” skills. They can “code switch” almost effortlessly. Probably this ability is distributed normally through the population. Some people can’t do what you did because they are lazy, feckless, inattentive. Others because they find it harder and / or they never learned how. And to do this, you need command of both dialects of languages. Sometimes people have the joy of language pounded out of them. Here’s an example for bilingualism stunted. I once heard an conference presentation from a Mexican-born Chicagoland-raised young woman, perhaps a graduate student in humanities. Her story, the core of her conference paper, was that she got tense and anxious when trying to speak Spanish, and slowly her English got comparatively better over time as she grew up. In her presentation, she asserted that she suspects her martinet of a Spanish teacher (a Cuban) was partly to blame. Since language is at least 4 skills (listening, speaking, reading, and writing) not everyone who can understand standard English can produce the spoken utterances on the fly. Writing is harder still. Some scholars argue for a _Matthew Effect_ in reading. The people who are good get better. The people who are the worst readers improve more slowly, and it’s more painful, never becoming effortless. 2. In Maya Angelou’s _I know why the caged bird sings_ she claimed that she and her schoolmates could effortlessly code switch between the patois of Black rural Arkansas and the proper English of their school. Presumably, the skill is not really rare. Lots of people can do it. But probably not everyone. 3. In order to code switch, you need to know both of the languages, or dialects, or “sociolinguistic registers.” For whatever reason, that doesn’t happen with everyone. Schools are supposed to teach the standard language, but maybe they do it best for students who already have a good grounding from their home life. Personally, I suspect discretionary reading has a big impact. Some people will read anything placed in front of them, including the cereal box. Others read only under duress. Many of our formal words come to us in English through reading. They are in the newspaper, for example, but never in the TV news. 4. There is a hypothesis that rural southerners are hostile to big words. There is a similar hypothesis regarding Black Americans from the lower socio-economic strata. Is it true? It beats me. These theories are invidious. I cannot prove that they lack a kernel of truth. At some point the dislike of formal speech and big words can become part of an oppositional stance for peer groups or whole sub-cultures. 5. For many of us, to get good you have to practice speaking (even silently) and find it entertaining or enjoyable. Some of us as we grew up were getting good and improving while other people were staying mediocre or poor at language, and not even noticing that they were falling behind. For a lot of us this wasn’t just school work but was things like song lyrics and children’s rhymes on the playground. sorry that this is disjointed. Too much coffee, and the topic is endlessly fascinating for some of us. Pardon me, while I speak Amero-Hetero-Andro-Caucasian (AHAC). Linguistic anarchy – and let’s be honest, that’s what the academia-poisoned-by-political-power-struggles in this case is both reflecting and fostering – is going to lead to anarchy of other kinds in a population so “educated” in such anarchy. Imagine a booming industry of ethno-linguo translation services for courtrooms, media broadcasts, advertisers of anything for sale, and “community organizing” activities of all imaginable kinds. “[Insert “Rome” or other civilization name here] wasn’t built in a day.” Nor were such destroyed in a day (most of them, anyway). I will hold out hope that even “BVE” speakers will eventually figure out how to speak to one another clearly enough to keep their hot water running and their lights on – if they don’t all kill-off each other with measles or some other communicable disease first. Maybe epidemics like measles will kill-off the quaint notion that the only place to learn how to think correctly is in groups in classrooms on a college campus where courses like the American University offerings Jack shared are force-fed (to the forcing-tolerant). 1. You have to find it interesting, in my experience, to want to learn another language. I was exposed to Chinese, Korean, and Japanese. I never had an interest is following up on any of those. Russian, on the other hand, was interesting but too far from romance languages to pick up without study or conversation. I also love to read, and always have. I agree with your premise on this point, FWIW. I am betting the skill is fairly common, given the motivation to do so. 3. I was poor growing up, but with a strong educational ethic imposed upon me. My ‘escape’ from life was the Library, where my vocabulary was greatly enhanced in elementary school. So that tracks. 5. Agreed. I would add ‘paintings’ as well, as in some form of ‘Art Appreciation’ class. The names of paintings in obsolete english or in other languages stimulated me to learn more about those terms. Art Appreciation was a Texas UIL category when I was young.